Ming Canaday, BA ’13, was only three or four years old when her biological parents abandoned her on the streets of Chenzhou, China. Afflicted with polio and scoliosis, unable to walk, and barely able to fend for herself, she was utterly alone in a city of 4.5 million. After a day or two of homelessness, a stranger picked Canaday up and took her to the Chenzhou Welfare Center, a day she still remembers clearly. Canaday spent the next eight years of her life in the orphanage, where death was as much a fact of life as roasting oranges on an old wood stove during the holidays or watching fireworks and eating dumplings at New Year. The orphans with disabilities did not go to school, so Canaday spent her days helping with chores or, as she says, “sitting around in dreary boredom.” The children fought with each other, ignored by the caretakers unless the misbehaving affected them; on one occasion, Canaday was hit with a chair after stealing meat from a cupboard. Ming’s life turned around when David Slansky, director of international programs at Hillsboro-based adoption agency Journeys of the Heart, visited the Chenzhou Welfare Center. He wrote an article about what he saw there, and Pamela and Clifton Canaday, a couple living 6,400 miles away in Sheridan, Oregon, read the story and decided to adopt Ming, who believes she was 11 at the time. But even though she left behind a life where the threat of violence was ever-present, living in bucolic Sheridan, on the banks of the meandering Yamhill River, was not easy. And because of her her scoliosis and polio, Canaday was breaking down physically as well as emotionally. Doctors determined she needed an operation on her spine to ensure she lived to adulthood, so her parents arranged for the surgery and stayed with her in the hospital while she recovered. Slowly, she began to adjust to her new life, and soon enrolled in school for the first time, as a fifth-grader. When the time eventually came to apply to go to college there were only a few universities she considered. The University of Oregon’s Chinese Flagship Program offered Canaday—who taught herself to read and write Mandarin in high school—a partial scholarship, and in 2009, she enrolled at Oregon. In four years she earned three degrees—Chinese, Asian studies, and international studies—and added a graduate certificate in disability studies from the City University of New York. Canaday took approximately 20 credits each semester, and added three study-abroad trips to China for good measure. Fun in college may have come second to academics, but Canaday still managed to find time for extracurricular activities. Community service? 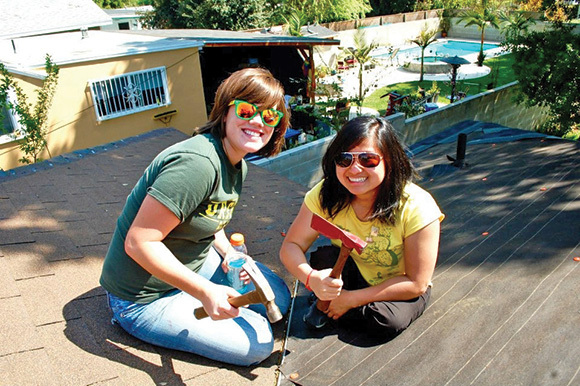 She worked on roofing and house-painting projects in California through Rotaract (Rotary Club for the younger set) and Habitat for Humanity. Athletics? 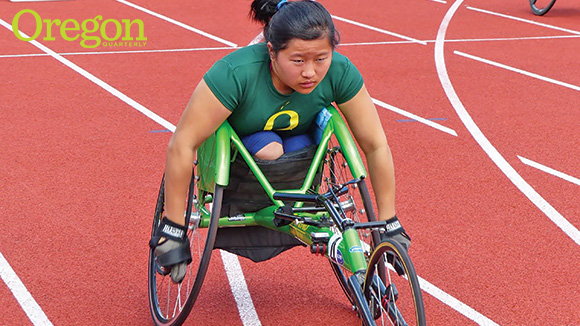 As a member of the Adaptive Ducks wheelchair racing team, she finished seventh in the 100-meter and 1500-meter races at the Pac-10 wheelchair championships during the 2010 Oregon Relays. After graduating from the UO, Canaday enrolled at the prestigious London School of Economics and Political Science to get a master of science degree in the history of international relations. She traveled to South Africa to study emerging powers in Africa and conduct interviews for her dissertation on the changing attitudes toward Chinese migrants in South Africa. During the scant free time she had while earning three bachelor’s degrees and a master’s degree, Canaday volunteered to help others. She worked as a linguist, interned in Human Rights Watch’s disability rights division, designed a curriculum for a vocational school in China to teach English language and American culture to students with disabilities, and translated foster care evaluations for the Amity Foundation, an organization that promotes education, social services, and development in China. Canaday recently moved to Washington, DC, where, like many recent graduates, she is looking for a job. She’d like to work in the Department of State or the Foreign Service, while also serving as an advocate for the disabled. In the meantime, she is helping her close friend Chunchun, whom Canaday calls her “little sister” and who still lives at the Chenzhou Welfare Center. 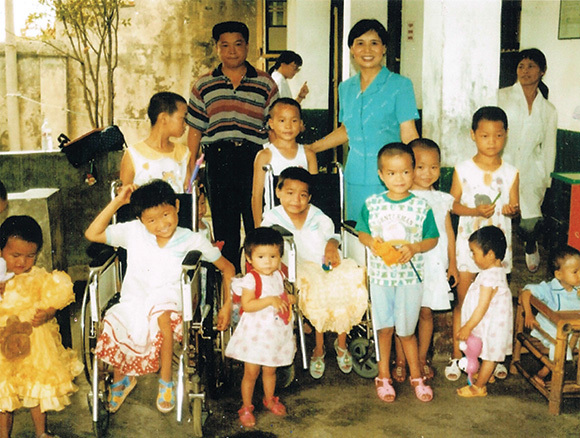 Canaday and Chunchun each have scoliosis and polio, but while Canaday was able to have the spinal surgery she needed, Chunchun was not as fortunate. Her curved spine was crushing her internal organs, and she urgently needed a life-saving operation. Canaday found an organization that covered the cost of the procedure, but Chunchun still faces a 30-hour train ride to receive follow-up treatment. While recovering from the surgery, Chunchun has been unable to work, and paying for the train journey and accommodation at the physical rehabilitation facility has been difficult. Canaday has set up a GoFundMe page to help her friend. “I wouldn’t be able to live with that if she died under those treatable circumstances,” Canaday says. Given how her life began, Canaday considers herself lucky and she is determined to pay it forward.